He has been known to embody his characters during his illustrious career as an actor, which includes his Oscar-winning performance in Gladiator. But this time Russell Crowe may have taken his incredible chameleon-like ability to a whole new level. The 54-year old looked unrecognizable in a heavy prosthetic mask and suit for his role as the late disgraced Fox News chief Roger Ailes in the upcoming Showtime miniseries The Loudest Voice. 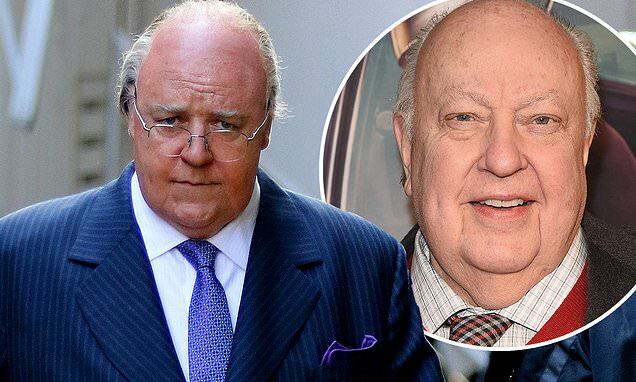 The Aussie actor was spotted blending into the crowd, looking very much like Ailes - who died in 2017 at the age of 77 - while shooting on the bustling streets of Downtown Brooklyn on Tuesday. His amazing transformation takes about five hours to complete each day and includes a prosthetic belly, heavy face makeup and a bald cap.